KingSpry | What Happens to My Stuff if I Die? What Happens To My Stuff If I Die? KingSpry and Greyfriars Institute are teaming up to dispel the myths about wills, trusts, and death taxes in Pennsylvania. Estate Attorney Paul Frank will discuss Wills, Living Trusts, Powers of Attorney, when to see a professional advisor for comprehensive planning, and he will offer a few tips on how to communicate your wishes with those closest to you. Paul Frank is an attorney and partner with the KingSpry law firm who focuses his practice in Wills, Estates and Business Law. 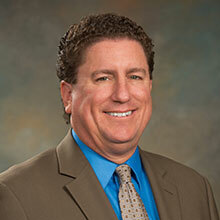 Mr. Frank is a member of the Estate Planning Council of the Lehigh Valley and a board member of the Non Profit Business Partners Council of the Greater Lehigh Valley Chamber of Commerce.